Although paclitaxol chemo is proving to be more of a challenge than I expected, we did manage to get up to Yosemite this weekend for our anniversary. 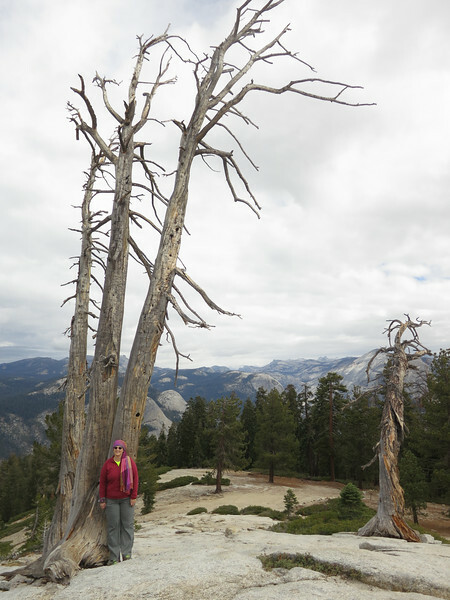 We spent two nights at the Wawona Inn, and managed to get out hiking on both Friday and Saturday – before the rain started. It rained quite heavily at times all night Saturday. When we left Sunday morning, the road report showed that Tioga pass was closed due to snow! 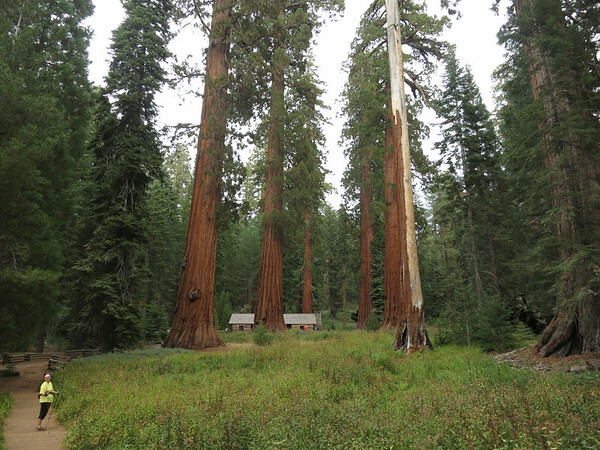 On Friday we tackled Mariposa Grove – the oldest and largest grove of sequoias in Yosemite. After 45 minutes hiking, I suggested we turn around at the 1 hour mark. After reading a few signs incorrectly, we didn’t turn around but soldiered on and made it to the museum at the top of the grove (we climbed 313m, hiked for 2.5 hours, 7.5km, 12,000 steps). Feeling a little sore on Saturday morning, we opted for a shorter hike up Sentinel Dome (168m, 4.2km, 1h 50m, 7000 steps). The views were spectacular, and we arrived back at the car before any hint of rain. Overall, a great trip to Yosemite. We are glad we didn’t let the weather forecast stop us! Coding notes: I find myself debating whether or not “nature” should be categorized as mental health. There is a huge overlap between side effects, coping mechanisms, and mental health. This shouldn’t be surprising.